Some Windows users who fail to update their system to Windows 10 may receive a 0xC1900101 error message. 0xC1900101 error is a device driver related problem, which can be caused by various issues, such as inadequate storage space, faulty drivers, antivirus software, connected peripherals, corrupted system files and so on. Though they all begin with 0xC1900101, there is some difference between them. Solution 1 – Solution 8 can be used for all these errors, and the last solution is for 0xC1900101- 0x30018 error. Sometimes you cannot update to Windows because there is not enough update space on your computer. To upgrade to Windows 10 Creators Update, you need at least 16GB of storage. In order to meet this requirement, you have to delete some temp files or unnecessary files. 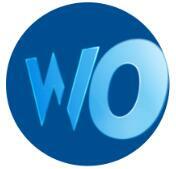 Your antivirus software, security software, and some other software could cause your problem. 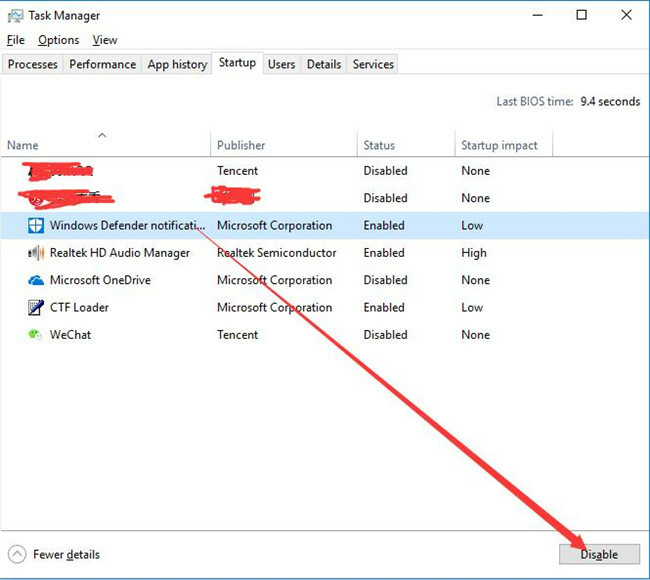 You can uninstall your antivirus software, firewall software, and some unnecessary software temporarily, and reinstall them after you update to Windows 10 successfully. After you uninstalled them all, try to install Windows 10 again. If you still cannot install it, try another method. Some users find that unplugging all peripherals from their computers is useful. For this method, you need to remove them all, such as External Disk Drives, USB Printers and other USB devices except your keyboard and mouse. Your problem appears may be because your DVD drives and other SATA drives are conflicting with Install Recovery Environment. So disconnecting SATA DVD drive and removing SATA cables from unused devices could solve the update error. Some faulty or incompatible drivers may cause your problem. In this case, updating these drivers can solve your problem. You can open Device Manager and locate devices marked with a yellow exclamation. Then update these device drivers. But it may be troublesome. So there is another way to update them. 1. Download and install Driver Doctor. 2. 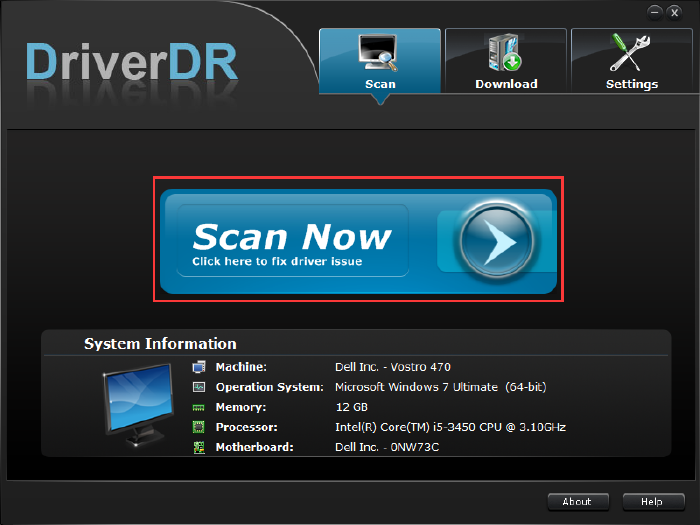 Run Driver Doctor and click Scan Now. 4. Click Download All to download all drivers listed above. Then install them all. You can check if your problem is solved after all drivers are installed. Corrupted files should be checked and repaired to ensure you can fix your problem. You can follow these steps. 1. Type cmd in the search box and right-click Command Prompt. 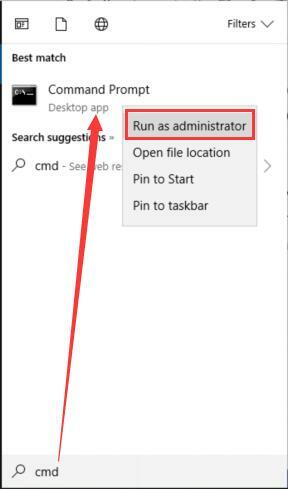 Choose Run as administrator. 2. Input sfc /scannow and hit Enter key. The scanning process takes some time to tell the results. 3. After this process completed, input Dism.exe /Online /Cleanup-Image /RestoreHealth and hit Enter. Then your computer should be restored to good healthy state and you can check if the error is gone. For this method, you need to close all the programs and shut down your PC first. Restart your computer and enter BIOS. Then go to the Advanced tab, using the left/right arrow keys. Then go to the Wireless area. Disable Internal Bluetooth, and Internal WLAN. Then use a network cable and try to update to Windows 10. See if your problem is solved. Doing a clean boot requires you disable other programs and drivers and make the very basic and built-in drivers and programs run your computer. It can tell if there is some installed software conflicting with others. Try this method may fix your problem. 1. 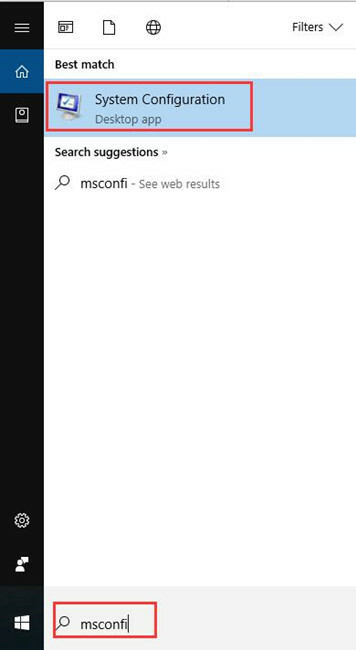 Type msconfig in the search box and hit Enter to run System Configuration. 2. 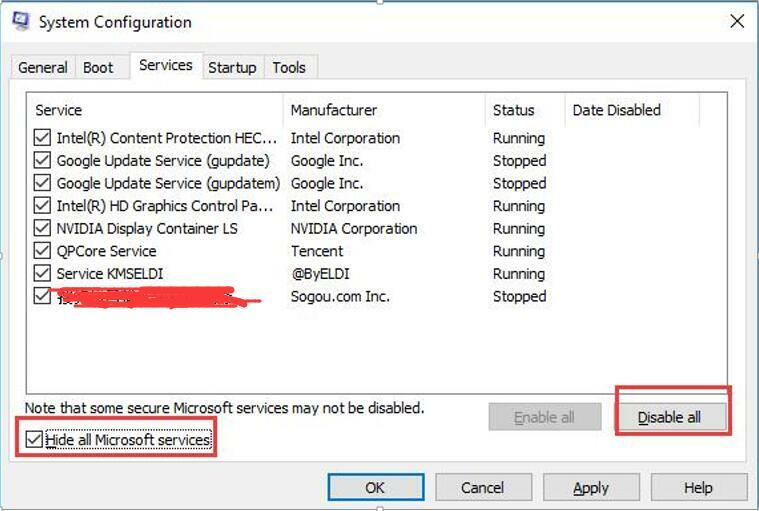 Choose Service tab and tick Hide all Microsoft service. Then click Disable all. 3. 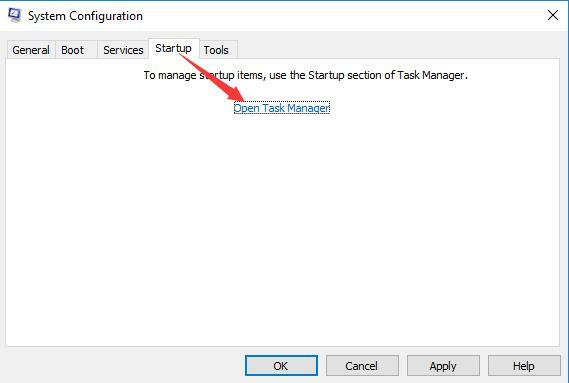 Select Startup tab and click Open Task Manager. 4. Click the startup items and disable them one by one. 5. Close Task Manager and back to System Configuration window. Click OK. Check again and see if you can install Windows 10 now. Sometimes it is because your BIOS is not upgraded that you have the 0Xc1900101 problem. So you should consider updating your BIOS. To manage it, you can go to the manufacturer of your computer’s official website to download the proper BIOS package files and get installation instructions from the official website. After you update your BIOS correctly, check whether it helps. If your error code is 0Xc1900101-0x30018, this method could help you a lot. 2. Input the following commands one by one to disable BITS, Cryptographic, MSI Installer, and Windows Update Services. Hit Enter key after each of them. 3. To rename SoftwareDistributionand Catroot2 folders, type the following commands in the same window and press Enter key after each of them. 4. Then input the below commands to start BITS, Cryptographic, MSI Installer, and Windows Update Services. Press Enter key after each of them. After you finished this command, restart your computer. Then check if this way helps you solved your problem. All these above are feasible solutions for 0xC1900101 Windows update errors. Hope these solutions can help you when you have this kind of error.